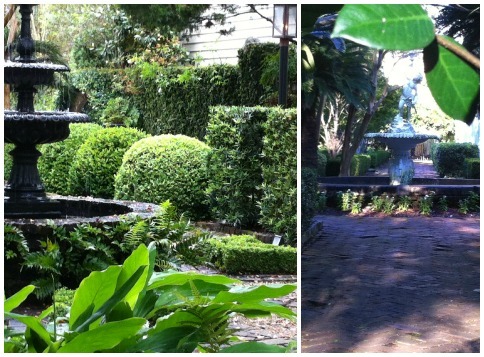 Fountains frequented many of the verdant settings. And if there wasn’t enough open land for a proper garden, people added plantings where they could…I particularly LOVED the ground cover used in between the steps! While others, still, had to rely on the existing trees lining the streets and modest window boxes to get their flora fill. 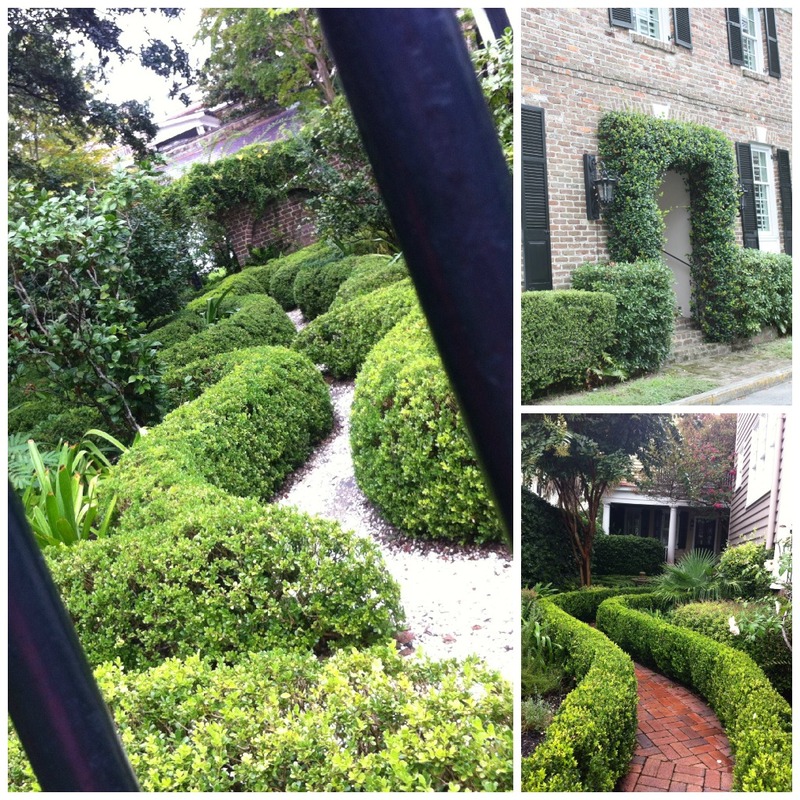 But…don’t be fooled – there were plenty of Charlestonians that had ample space for one heck of a garden spread! 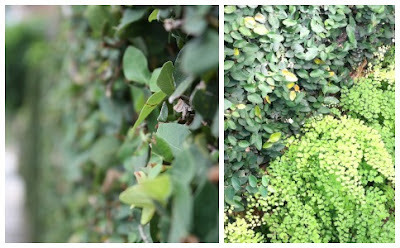 I loved the use of rich, hardy and sculptural boxwood, paired with the brighter, airier maiden hair ferns. 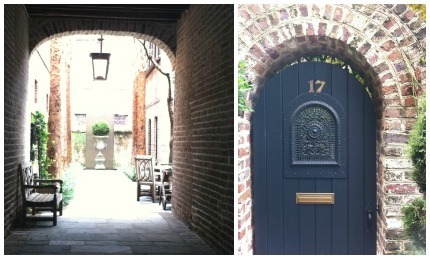 While historic Charleston and the nearby residential neighborhoods only fill up about a mile by mile area and one can easily explore it all in a day or two…I loved that I had multiple days [perfect opportunity to take advantage of The Man playing golf] to roam the darling streets over and over, looking for these perfect little hidden gems. After a chaotic day back in the office, I simply can’t ignore the pit in my stomach that I’m associating with my longing for more of the charm and beauty of our trip to Charleston last week. Perhaps that funny feeling in my stomach is my body telling me that I’m still full from the obscene over-indulgence that the week provided! Needless to say, the Lowcountry Cuisine did not disappoint! Now – as a disclaimer – please note that I do not pretend to be much of a serious foodie. While I immensely enjoy dining out, trying the hot new spots [known and unknown], and have become quite spoiled with the elite restaurants and chefs we Chicagoan’s have at our fingertips, I really must admit that I am simply a girl who has spent most of her adolescent and adult life abiding by a fairly strict diet of modest deprivation and utter boringness – all in the name of vanity. But now that I am pregnant, I also come clean to the fact that I seem to have misplaced my iron will these last 7 months and have regularly wondered where my determined diet resoluteness has gone and am, simply put: enjoying being a bit of a cow these days. 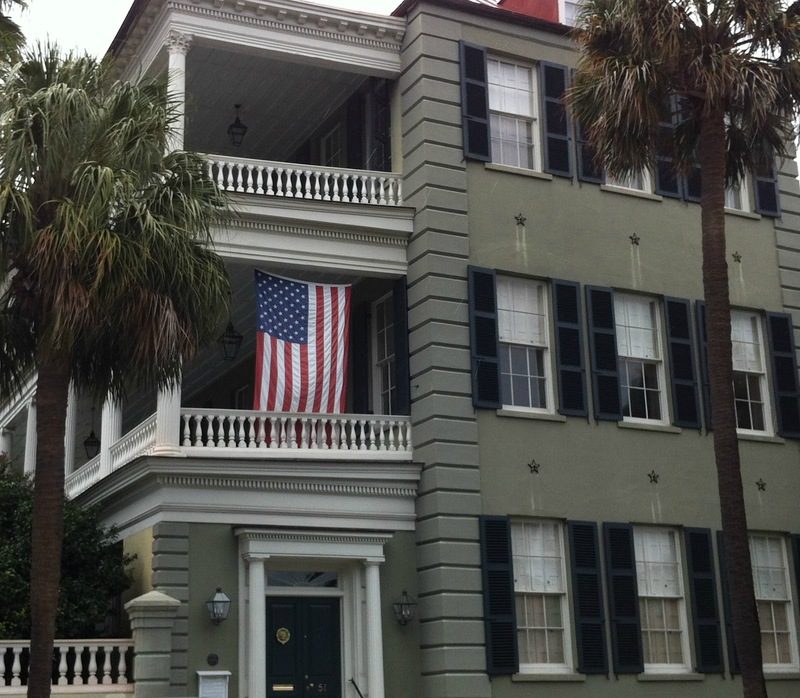 All of that said, it seems to have been The Perfect way to explore a city with such a strong culinary presence as Charleston, South Carolina. Crappy iphone pic – sorry! 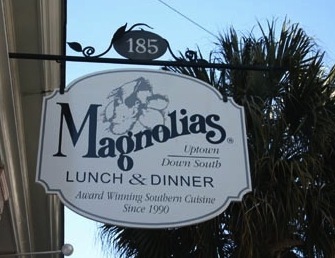 Umbrella in tow, we ventured the couple block journey to our first dinner date of the trip: Magnolias. The regarded restaurant offers traditional southern cuisine with a fresh, current approach to preparation and presentation. We shared the vanilla bean poached pear and arugula salad, a perfect and lighter way to start the meal. Joel got the blackened chicken and I ordered a salmon special that left me painfully full, yet seriously yearning for more. We loved our meal! 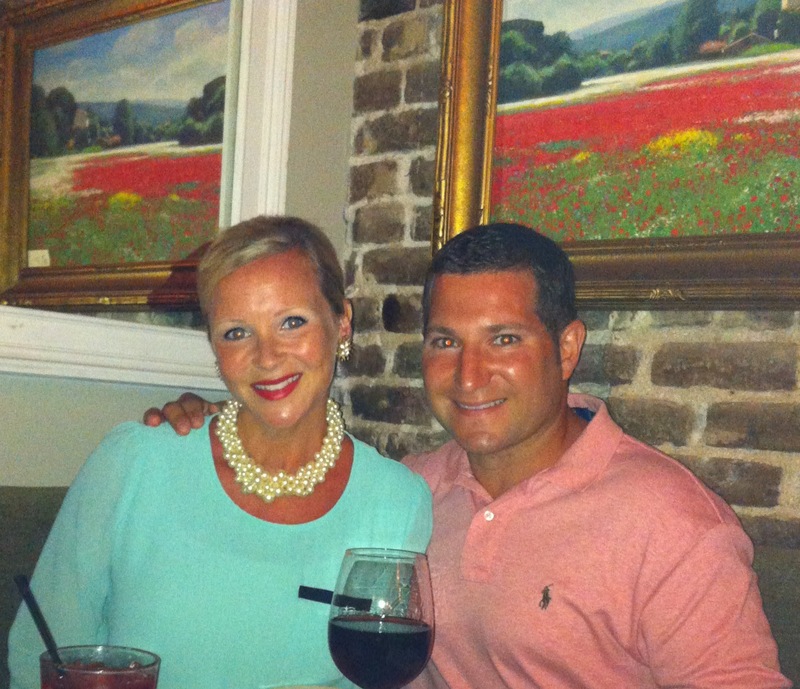 Sermet’s menu is influenced by the Mediterranean and was a wonderful change of pace from the amazing lowcountry cuisine we were quickly growing accustomed to. We started with the artichoke torta, followed by delish entrees. Perhaps one of Joel’s favorite dishes of the trip, he ordered the chicken sautéed with bacon, granny smith apples and mushrooms in a light marsala/parmesan sauce over sweet butternut squash ravioli. I chose the shrimp in a light curry/citrus sauce with pearl couscous, sun-dried tomatoes and cilantro. The atmosphere was cozy and comfortable with exposed brick, warm timber and beachy, crisp white linen. The exterior of the stunning two story 1893 Queen Anne building that houses Husk has Charleston’s undeniable charm with its welcoming porches and towering magnolia trees that provided a romantic patchwork of shadows to the picturesque scene. The interior is refined, rustic and welcoming. We were lucky enough to be granted a table outside on the porch, overlooking Queen Street. Husk is Southern. Coreshakingly so. “If it’s not from the south, it’s not coming through the door”, said James Beard award winning chef Sean Brock. The menu changes daily based on the seasonal offerings and local visits to farms and markets. We started with the boiled peanut hummus and house made crackers, followed by a couple of entrees that made us appreciate and agree with the frenzied buzz that still surrounds Husk. J ordered the chicken breast with sweet potato pepper mash, spicy [!] pumpkin greens and garlic and chili broth. I enjoyed every last morsel of my wood-fired flounder with risotto-esq Carolina rice middlins, the freshest most verdant green peas, chanterelles and green garlic. Oh – and we must not forget the cast-iron skillet of fresh cornbread that tasted like it was cooked over a campfire, to accompany our meal! Perfect for a snack or a sandwich while shopping on King Street. While the convenience factor of the rooftop/pool eatery was just plain silly since this was our hotel…the food was wonderful! From fresh flatbreads and wood-fired pizzas to salads and sandwiches – everything is delicious…including the views. A self-serve yogurt shoppe with heaps of unique toppings and adorable pink and white stripe chairs that I’m fairly certain made the frozen treats taste even better. Lovely for interesting sandwiches, the fluffiest quiches and indulgent baked goods. 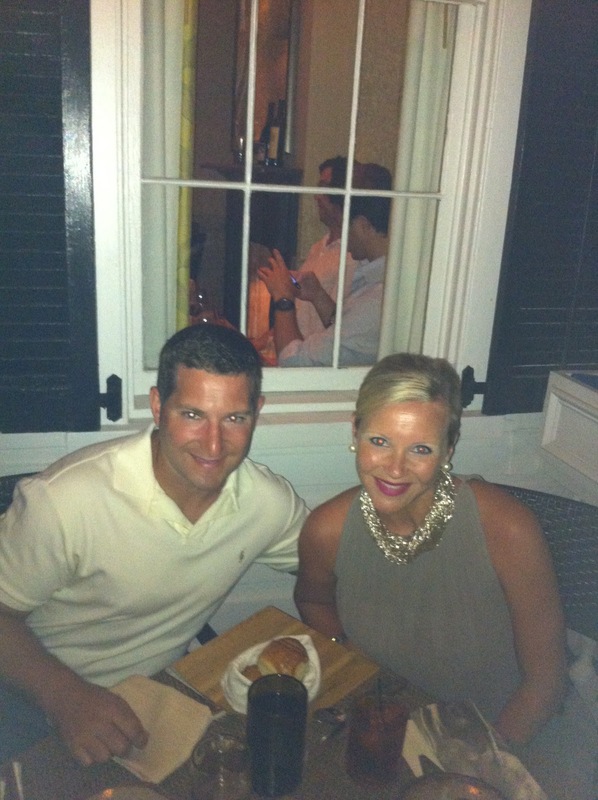 We seriously enjoyed every meal, everyday…with the lone loser of the group: Poogan’s Porch. I must admit, I was blinded by the idea of dining al fresco [not knowing what the incomparable Husk had in store for us later in the week!] and ignored the grimy setting, mobs of [quite tacky] tourists and funky odor of the main entryway. I had to send my meal back to the kitchen and Joel left half of his on his plate. With so many amazing restaurants to choose from, we were disappointed to have wasted an opportunity here. 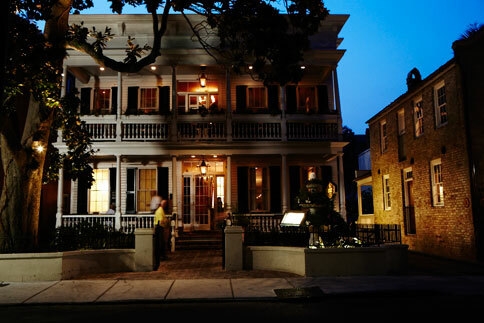 The Charleston dining scene is both understated and world-class. 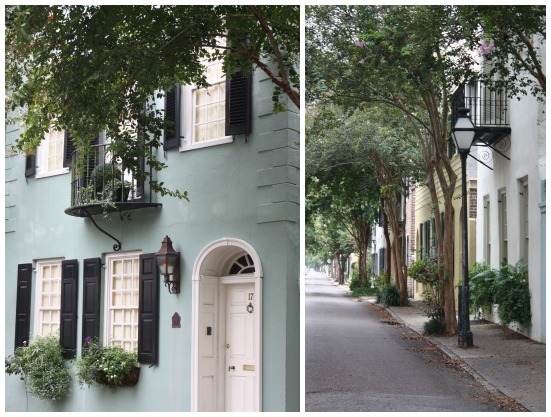 Forget about pretentious attitudes – the southern charm and hospitality of places that offer street-fare or fine dining seem to be authentic and inspiring! I am heartbroken to admit that our little get-away is coming to an end…Charleston was The Perfect way to spend some time before Sweet Baby S joins us later this fall. 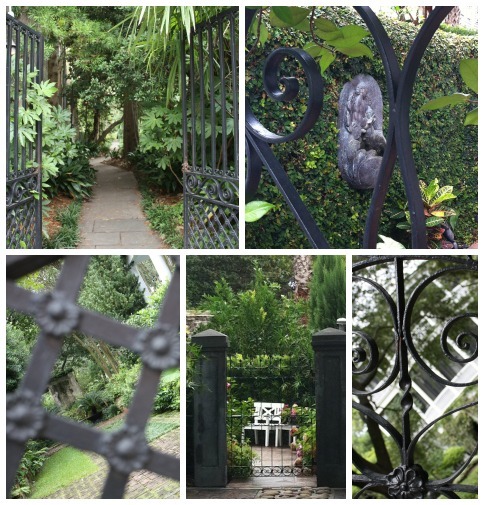 I’m composing a few posts to include some favorite highlights about shopping, dining, accommodations and scenery [ooooh the hidden gardens…] in Charleston. Too much to share, I promise I’ll try to edit the content!